Actress Ankita Bhargava may ave been absent from the TV screens for a while now, but she has been a part of several TV shows over the years and done some memorable characters too. Be it her role in Mrs. Tendulkar, Ek Nayi Pehchaan or Reporters, even though her characters haven't been in the leading cast she has managed to create an impact like no other. And, when it comes to her role in Reporters, the same was a lot more special as it saw other stalwart actors like Rajeev Khandelwal and Kritika Kamra in the same frame too. Wow! Watching Ankita and Rajeev together on-screen again would certainly be treat, wouldn't it? However, considering Ankita and Rajeev are very picky about their projects on the small screen, we are certain thay they would need a path-breaking script for that to happen. So, will it happen? The fans can only keep their fingers crossed. 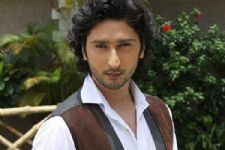 Game of Quitting: Toral QUITS Mere Sai For Udaan; To Be Replaced by THIS Actor! 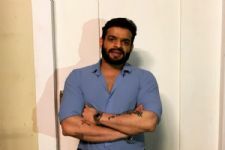 Ahead of Holi, Karan Patel Shares a STRONG Message; Video Inside! Hay EIC Kabir Sharma(Rajeev Khandelwal)miss you so much. Awiting Rajeev Khandelwal n Kritika Kamara pairing again.perfet jodi. I wouldn't mind having her as vamp again!!!! Kuch bhi! He looked way better with Kritika. 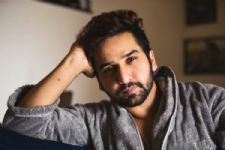 I m excited abt him sharing screenspace with Aahana Kumra in his next webseries.